The author’s notes from a recent lecture he attended with Facing History in Toronto. Ruth Graham noted in the Boston Globe this spring that taking notes forces students to actively engage with the material with which they are faced. If, as Facing History, teachers we hope to develop caring, informed, and engaged students, then we must teach them skills to retain, understand, and synthesize information. Students should take notes in whichever form suits them best - using pad and pen, a computer, an iPad, whatever! The important thing is that we provide students with strategies for taking notes, and help them to understand the value that note-taking can add to their learning as well as projects and papers on which they are working. I have always found it helpful to provide examples of notes for students to examine – especially when those notes are relevant to the subject matter we are covering. It is important to provide students with an opportunity to deconstruct the notes of others in order to evaluate what makes notes and note-taking strategies effective. Issues such as legibility (I can read them, but can you? ), thoroughness, the use of white space, shorthand techniques, etc., can be discussed and examples can help students see the value in developing their own style of note-taking. I’ve also found it helpful to talk about my own personal note-taking style. I can take notes more quickly and fluidly with a pad and pen than with a computer. Pen and paper has a certain tactile aesthetic that is lost with higher technology, and for me, as someone who always struggled with focus in longer lectures (I consider anything over 15 minutes “longer”), taking notes this way offers less distraction and is more engaging. I share that with my students, but always encourage them to find their own means of taking notes. 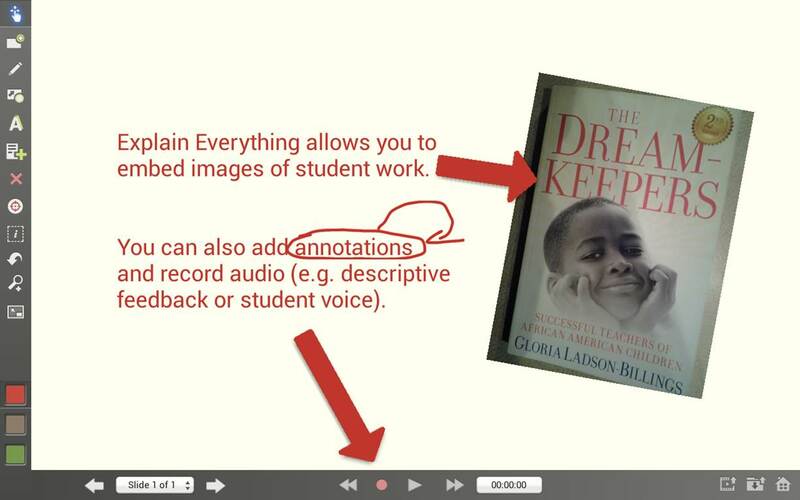 For our digital learners, there are many programs that support effective note-taking. For the standard laptop, programs like Evernote or Microsoft OneNote are worth reviewing (here’s a helpful article comparing the two). I often take photos of board notes rather than write them myself, and often encourage students to use their cell phones to take pictures or record source material. Like any skill, note-taking takes practice. Online videos, like TED talks or those found on Facing History’s YouTube page, allow students to practice taking notes at their own pace while they develop note-taking skills in a less formal setting. Note-taking can be a highly personal undertaking and students should have the chance to evaluate which strategies will work best for them, and which will not. What techniques do you use to teach students about note-taking? Comment below!